This Lisette pattern has been in my stash for a while now so today after finishing up some long overdue projects I decided to knock this bad boy out as well. 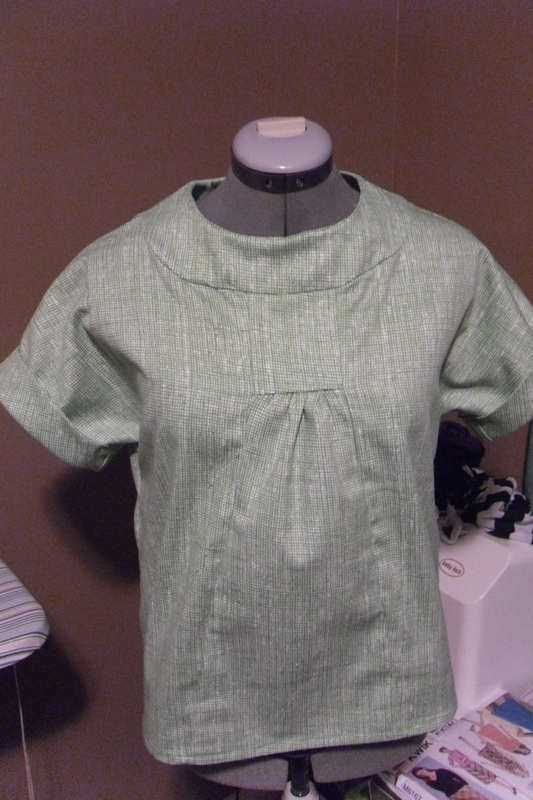 I wanted to make the top version, and I am in love with the green version of the dress on the pattern envelope so I found a similar cotton fabric. It was an easy project, but I keep finding that when I sew with cotton no matter how challenging the piece is, fabric choice makes a huge difference in difficulty level. Captain Obvious here, right? Hey, when you are self taught sometimes these blatant “eureka’s” can lead you to a path of glory. I followed the instructions complete from start to finish and only have a couple alterations/gripes on the finished product. The pattern instructed to interface the entire yolk and sleeve cuffs, however I think I have quickly learned to spot “over interfaced” patterns and when this much stabilizer is really neccessary. I went ahead and omitted all the interfacing on this shirt all together. My cotton is pretty thick and sturdy and with the extra interfacing it would have felt like wearing cardboard. For thinner more flimsy material I would interface the yolk, but not the sleeve cluffs. 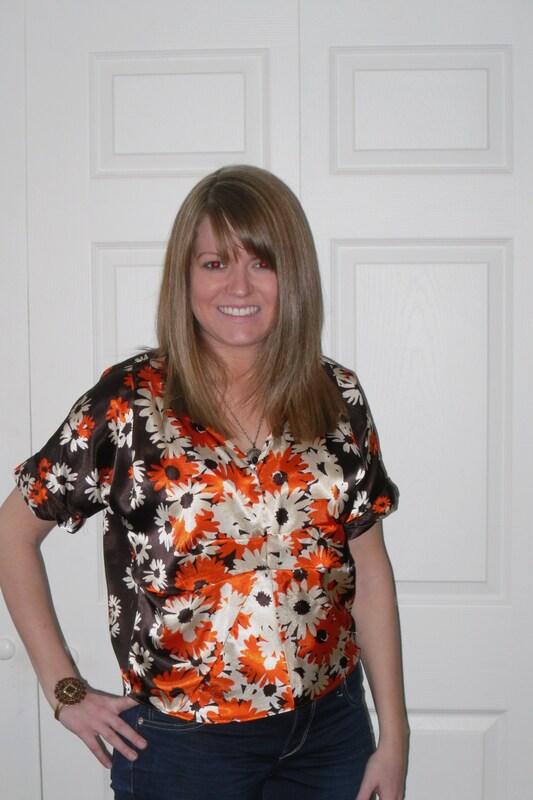 Second, I had a feeling this top would turn out short so I added a couple inches to the length. 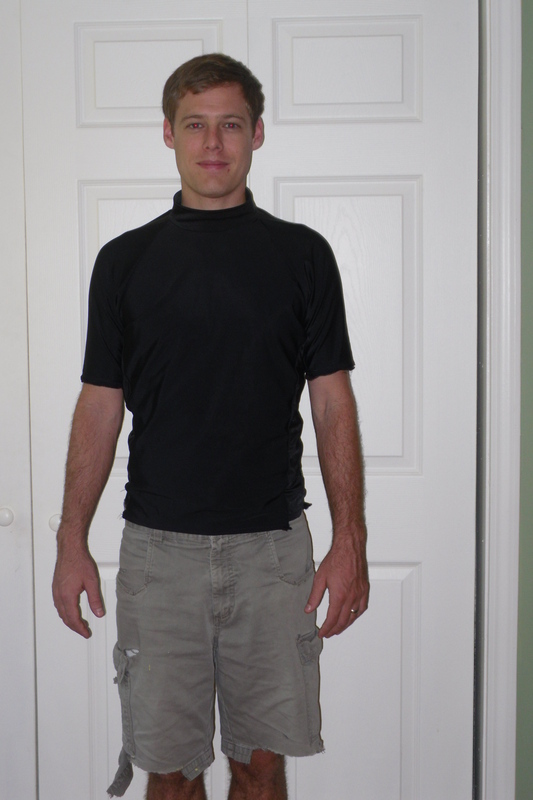 Well as you can see, it still ended up being a little shorter than I would prefer, but since I have a short torso and I am pushing 5’3″ the length is acceptable. That being said however, for someone who is taller than me this top would end up being a belly shirt! I don’t know if that was what they were going for with the look, but if you aren’t into the Britney Spears circa 1999 look I’d make sure to add on at least 3 to 4 inches to the length. Finally, I struggled immensely with the button tabs on the back neck closure. I always get pretty ticked when I have to invert material through tiny channels but this was ridiculous. It was so small you were supposed to use a needle to turn it inside out. I finally said screw it and just made buttonholes. The tabs on the yolk are clearly less than perfect, but oh well- I have long hair. Other than that I love the top, I would make it again with these changes in mind for sure. Its snowing outside now so I am wearing it out with a long sleeved white shirt underneath. 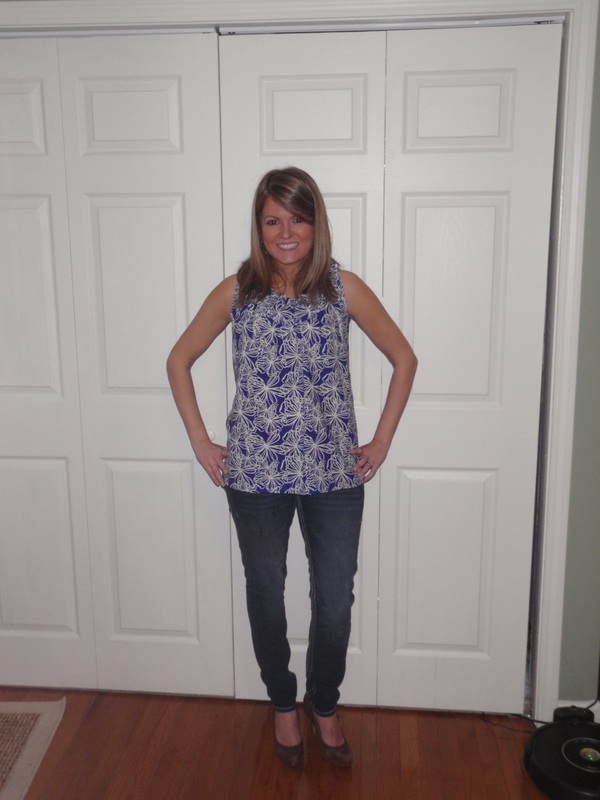 It looks cute layered so don’t wait until summer to break it out! 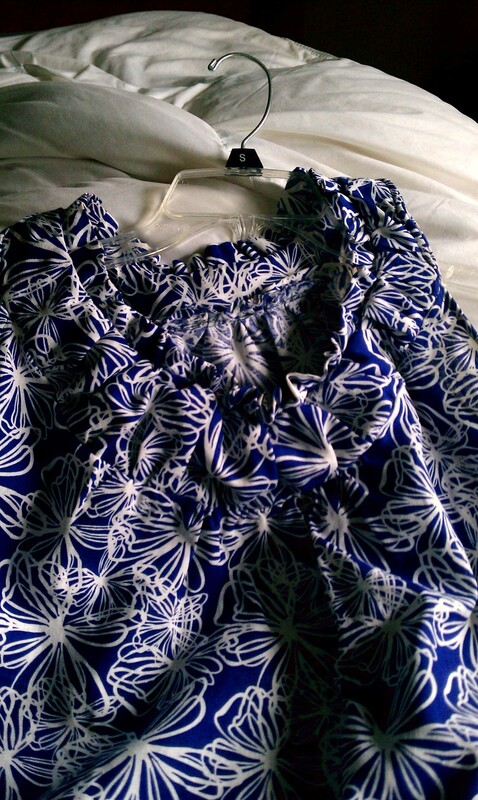 Anyhow, I found some black spandex bathing suit material at Hancocks, the pattern didn’t call for much, this top only called for about a yard. After making the union suit which was a similar pattern, I didn’t want it to come out too small so I cut it extra big so that I could size it down to fit him. I ended up cutting it quite a bit since he likes these to fit a little bit snug. 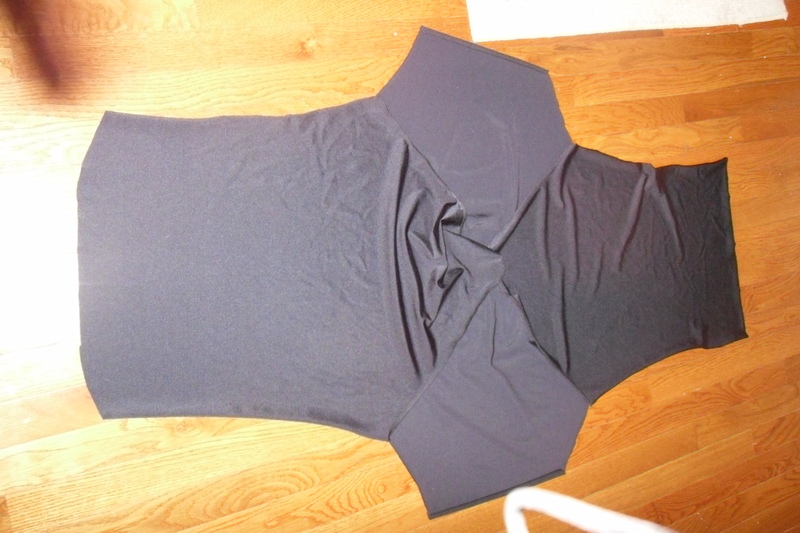 I serged all the seams and went back and serged around the neckline after sewing it to fit properly. Since this is going to get wet it needs extra reinforcement, especially for what he will be using it for. I don’t think this fabric has a tendancy to unravel, however if stretched too far I think it could tear. The shirt ended up fitting him properly, however all the cutting and sizing down made the finished product less than professional looking. The side seams were a hair short to match up with the shirt bottom, which was ok but I am a bit of a perfectionist so it annoyed me. 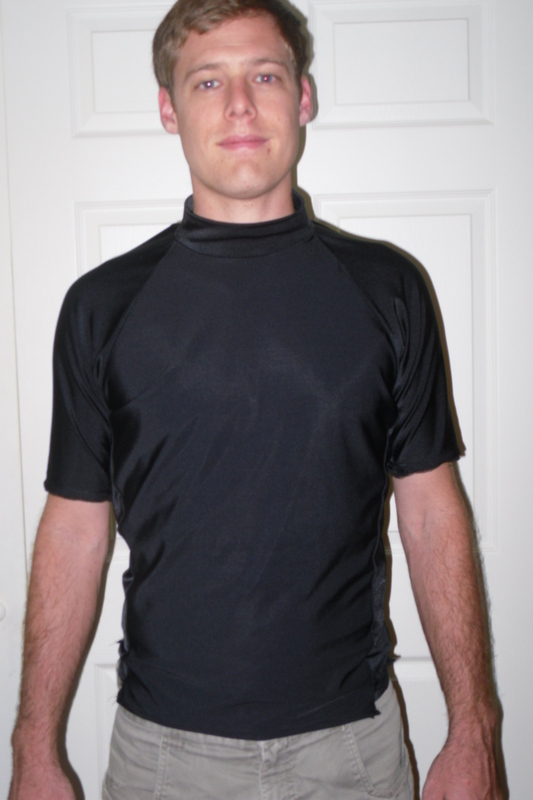 This showed the serged seam at the bottom too, but I guess since he is wearing this as a layer underneath his dry suit on a river so ultimately it doesn’t really matter. He said he liked it and he would wear it kayaking, so I think he likes his birthday gift! Happy 30th Birthday to my favorite guy! I ❤ You! 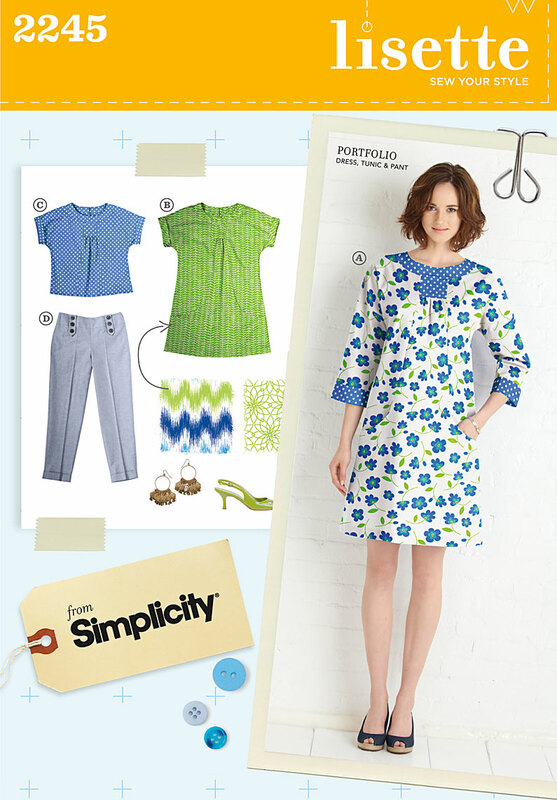 Simplicity 2892- cute on top! I love making dresses and there are many I have planned but sometimes you just want to throw on some jeans and a cute top. 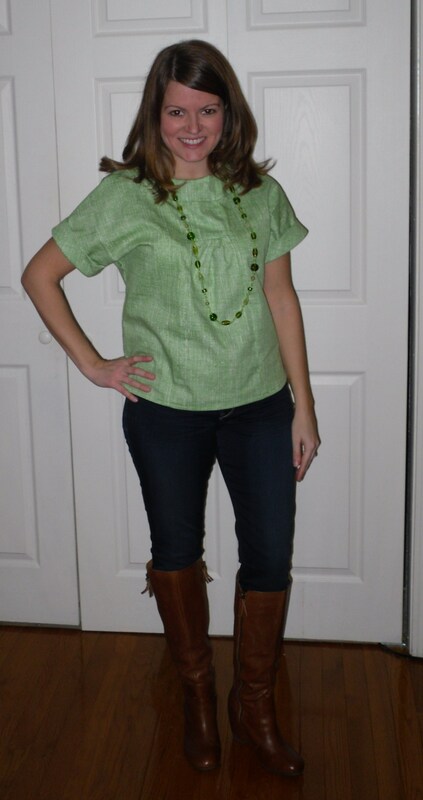 This top from the Simplicity pattern 2892 was so easy and I think its super cute especially in a pattern. I used the view D which was pictured on the front. You can also make a belt to go with this version but in my opinion the top would need to be made longer to accomodate a belt. The top was very easy and relatively quick to make. 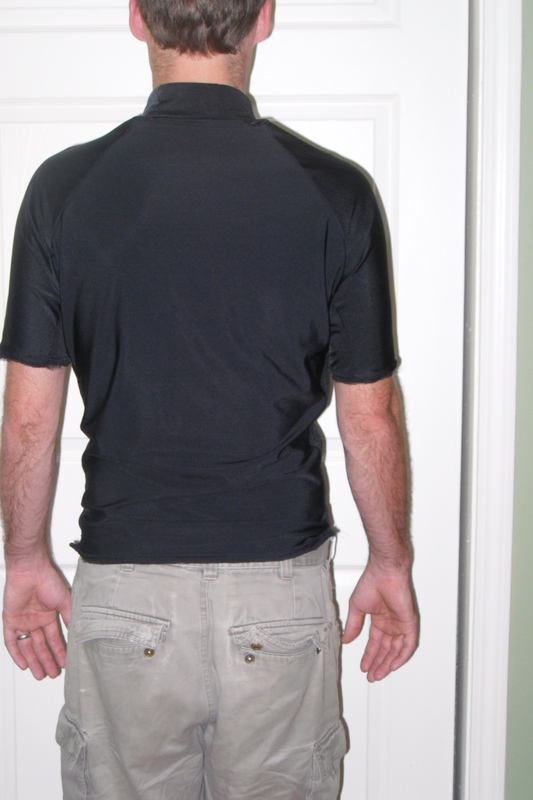 The majority of the work went into the neckline. The yoke had a lot of gathering which was a minor challenge with this particular material. I had seen this blue flower printed cotton material at Joann’s and fell in love with it, but they only had 1.5 yards left so I snatched it up and decided it was just enough for a top. 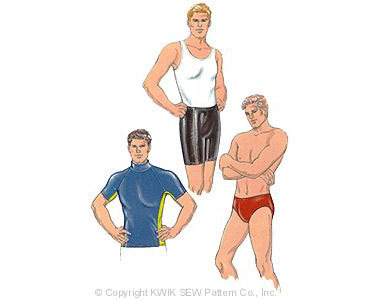 It is a thick rougher cotton material, definitely not a “laundered cotton” which they always put as a suggested material for these types of patterns. Why they put this I don’t know, its not like people have old sheets and yards of fabric laying around that they have run through the laundry 50 times just so that they can make them into tops and dresses and stuff. Sheesh. Anyways, since the material was a little stiff, it didn’t quite gather and bunch too easily so I had to kind of scrunch it with my fingers as I sewed it up. 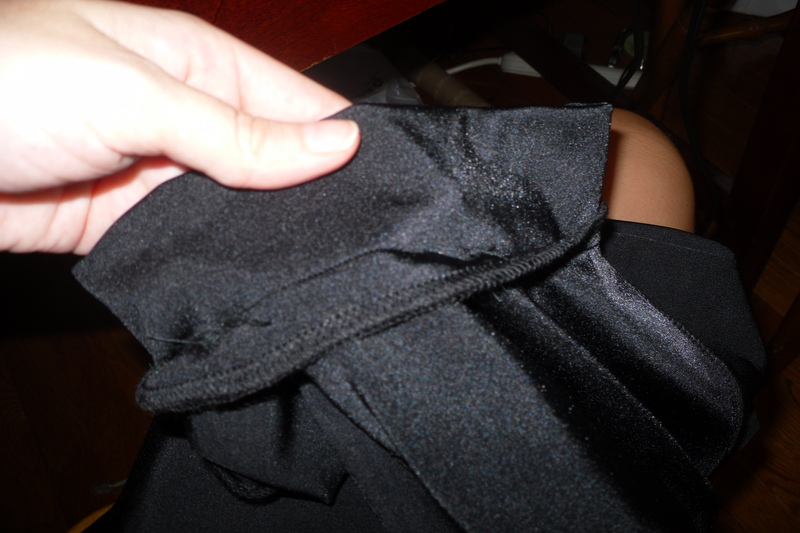 It also had gathering for the top ruffle band, I had to use the same method when sewing this piece as well. 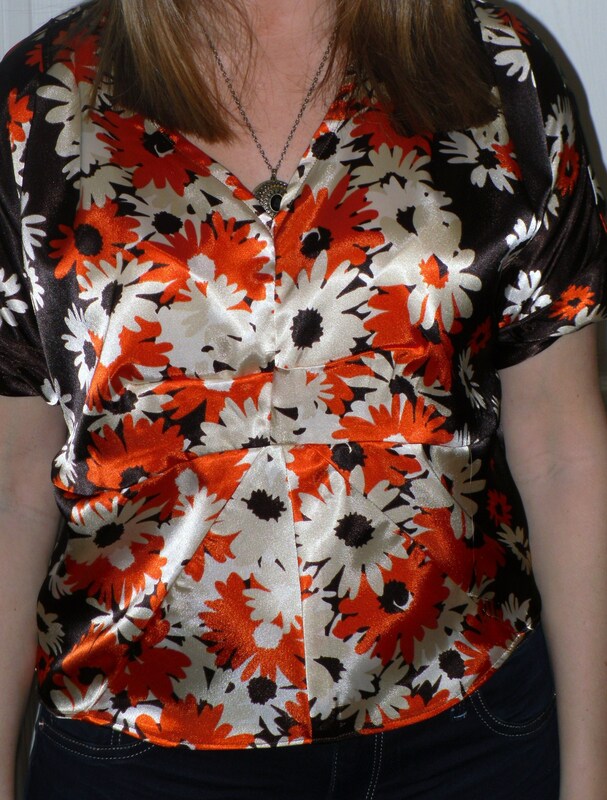 The only real drawback that I had with this top is that the bias tape under the armpit seams was left exposed on the inside of the shirt, but since nobody sees the inside I suppose it didn’t really matter much. 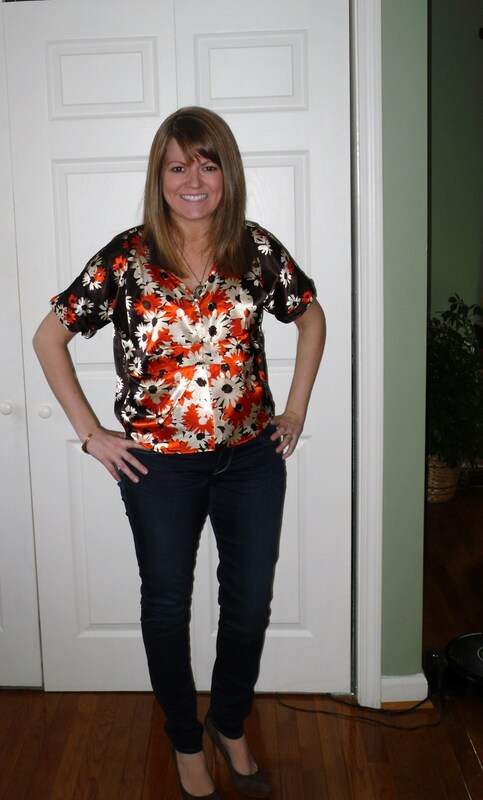 I really enjoyed putting this top together and I have already worn it to work for casual Friday and I wore to get a sushi dinner last night with my husband to our favorite place Oishii on Bardstown road. 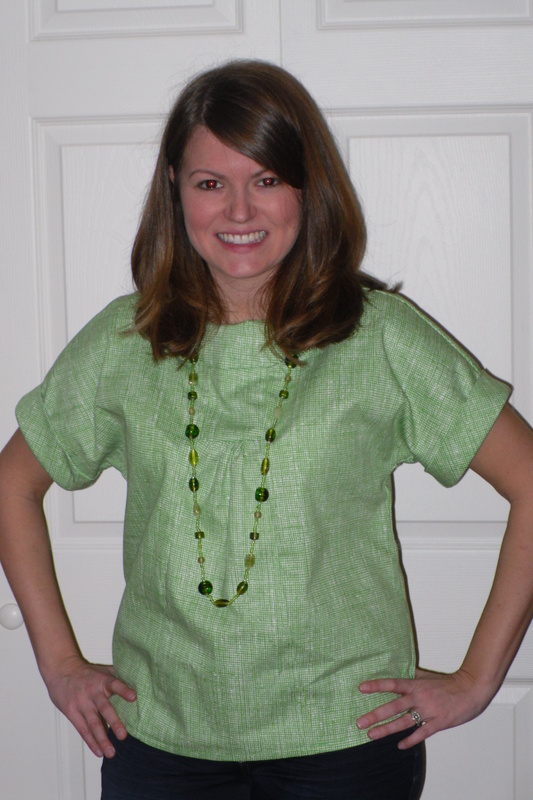 I will definitely make this top again (in a softer cotton) and I definitely recommend it. 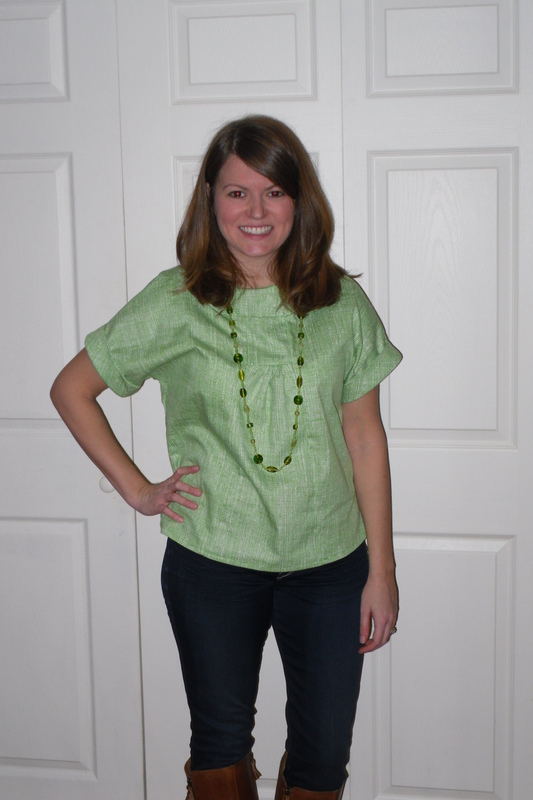 Two thumbs up Simplicity 2892!